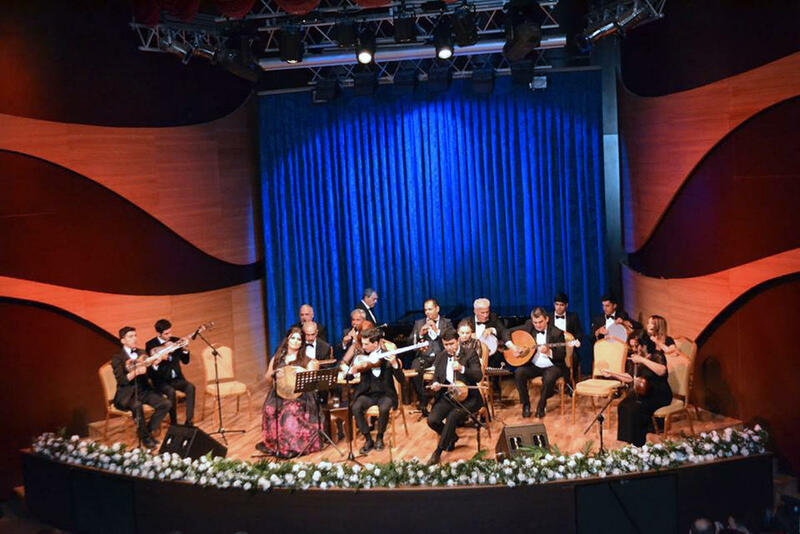 International Mugham Center will host Festival of Folk Songs on October 8-12. The gala event is organized by the Mədəniyyət TV with the support of the Ministry of Culture, the International Mugham Center, the Azerbaijan National Conservatory and the Azerbaijan State Academic Philharmonic Society. Within the framework of the project, a scientific symposium will be held with the participation of researchers in the field of studying folk songs. The performance of the Ensemble of Folk Instruments, spectacular concerts, jazz, improvisations await you at the festival. Director of the Mədəniyyət TV Ramil Gasimov stressed that the state pays special attention to the preservation of national art and heritage, propaganda throughout the world. Within the framework of the festival, compositions from the Golden Fund of Radio, unique folk songs will be presented. The events will be attended by famous folk song performers and representatives of talented youth. Trio-collectives, Xatirə" ensemble and the Jahangir Jahangirov Choir will present forgotten and rare folk songs. On the final day of the festival, Honored Artist Ramil Gasimov will perform folk songs accompanied by the State Symphony Orchestra.